This special deck consists of twenty-six ordinary cards, all different, and twenty-six short cards all of the same suit and value. The deck is set up by arranging the two sets alternately, thus every other card from the top of the pack is a card of the same suit and value. 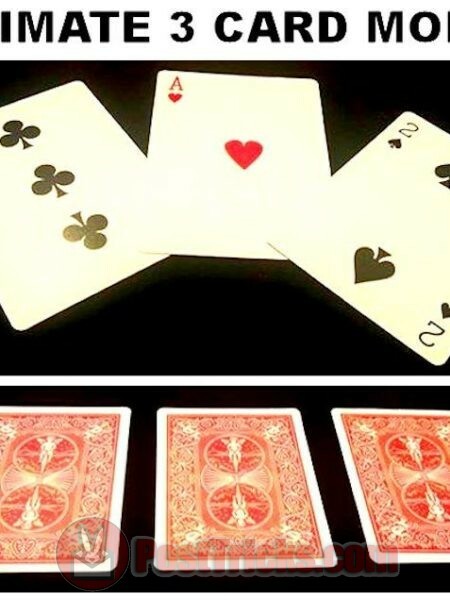 After giving the cards a riffle shuffle, which does not disturb the arrangement, square the pack and hold it face down with the outer end slightly raised towards the spectators. 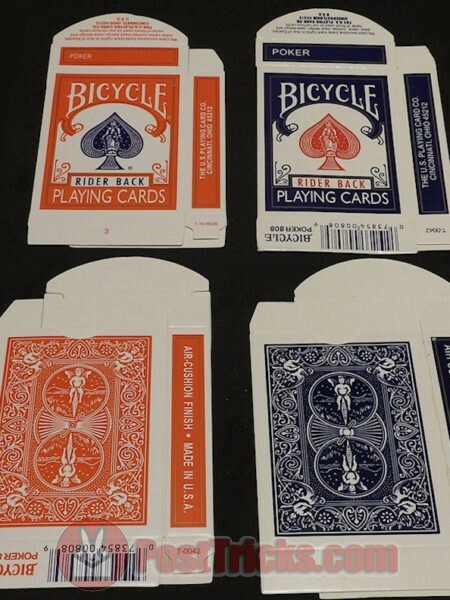 Slowly ruffle the cards by placing the tip of the right forefinger on the outer edges of the cards, bend the pack slightly upwards and release the cards rather slowly, every card will be seen to be different. The short cards do not appear since the cards fall in pairs. Lowering the pack, again ruffle the cards and invite a spectator to insert his finger-tip (or the blade of a knife), at any point he desires. No matter where he does this his finger will rest on the back of one of the short cards. Divide the pack at this point, let the spectator take out that card and the force is made. 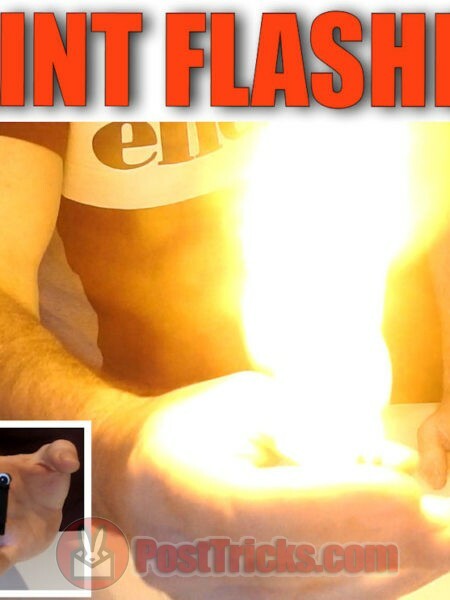 Before explaining some of the special tricks that have been devised for the use of this pack and to enable you to become used to the proper handling of the pack, some of the simpler feats will be described first. 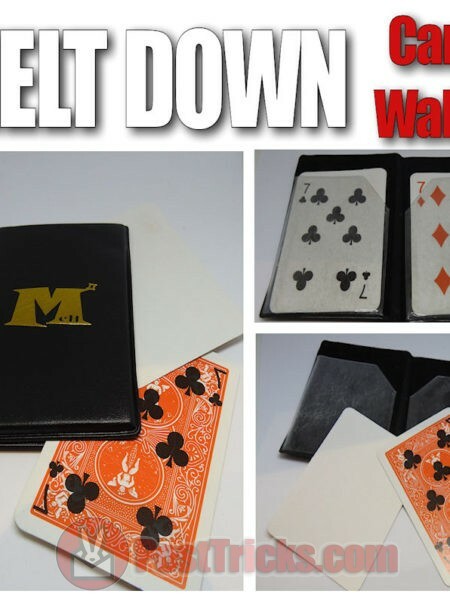 Show the cards all different by ruffling them, riffle shuffle and make a series of cuts each time showing a different card on the face of the right-hand portion. Invite a spectator to insert his forefinger-tip at any point he desires. Let him remove the card, note it and you read his mind by naming the card. Casually show the bottom card of those in your right hand, that is the cards above the one he removed and also the top card of the portion in your left hand. 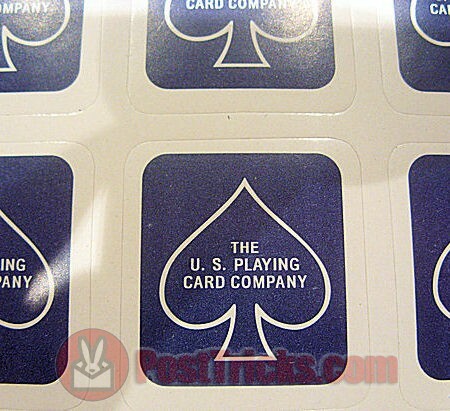 Have the card replaced in the same position and drop the right-hand portion on top. Square the pack and cut several times to make the impression that the card is lost in the pack. Announce that you will place the cards, one by one, face down on the table and invite the spectator to call ‘Stop’ at any time he wishes. Seeing that cutting the cards has left one of the shorts on the top, it follows that you have only to stop on any odd number to have a duplicate of the selected card in your hand. 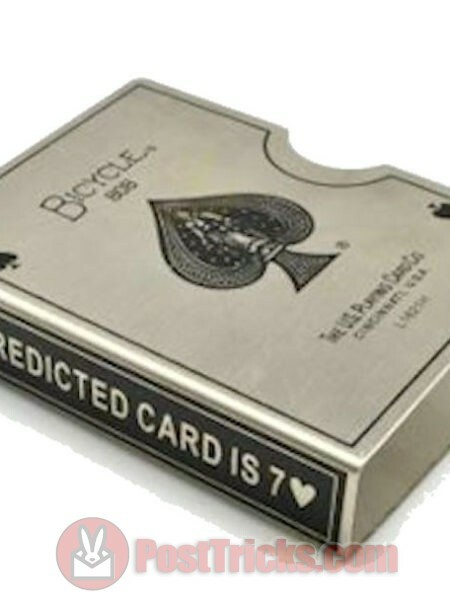 If, however, the spectator calls on an even card simply place it on top of the cards already on the table and say, ‘And the very next card will be your card.’ Turn the next card and show it, then place it on top of the pile on the table, pick up the pile, being careful not to expose the bottom card, and place it on top of the remainder in your left hand. Hand the top card, the one already chosen and ask the spectator to place the tip of his forefinger on its back and hold it there for a few seconds, then placing your left hand with the pack behind your back, you take the card in your right hand and say you will push it into the pack behind your back so that no one can possibly know just what position it will occupy. Pretend to do this but simply put the card on the top of the pack. Bring the pack forward and again show that every card is different by making a series of cuts. 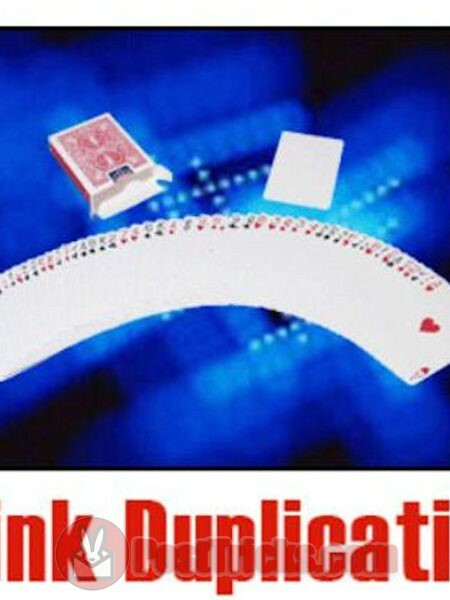 Then ruffle the cards inviting the spectator to insert his finger-tip anywhere he likes. He does this and you lift off the portion above his finger, while he names the card (you have forgotten what it was?). Ask him to draw out the card and turn it overhand he finds it’s his card. Again show that the card preceding it and the card following it are quite different cards. The above effects may very well follow one another but, of course, you cannot keep on using the same forced card indefinitely. A pretended prediction trick can be easily worked with the Svengali pack. After showing the cards all different and riffle shuffling the pack, you write the name of the force card on a slip of paper, fold it, and hand it to a spectator to hold. Have a spectator select a card as above with his finger-tip, or a knife blade, as you ruffle the cards, or by his making a simple cut. Lay the card face down on the table, have the spectator read your prediction then let him turn the card over. Switching Packs: A good way to introduce the svengali deck without drawing suspicion on it being a gimmicked deck is to switch it with a previously examined and used normal deck. Switch one: With the duplicate pack in its case in your right-hand outside coat pocket, replace the pack in use in its case as if you had finished. 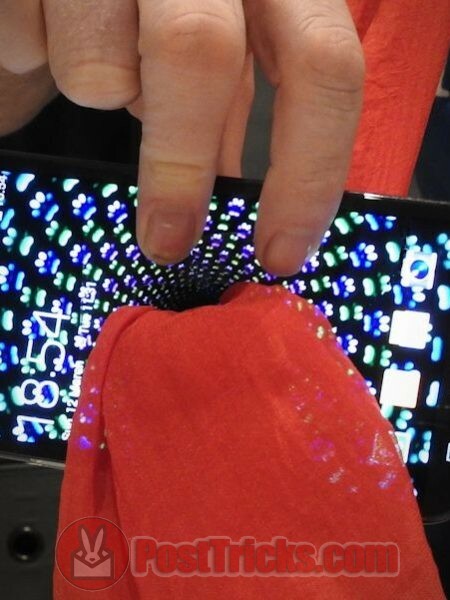 Put it in your coat pocket, then decide to do one more trick and bring out the other case. Switch Two: Hold the deck in your right hand and have something you are going to use in your left pocket (pen, coin, hanky, prediction envelope etc) pretend to search for the item by putting both hands in your pockets switch the deck with the one in your right pocket and bring out the item from the other pocket with your left hand. The Three Heaps: To avoid repetition it will be taken for granted that you have shuffled and cut the pack and show all the cards to be different by one or other of the methods given above. This will be taken for granted in the description of each trick. Cut the pack by the ends into four heaps and place one aside to be used later as an extra. Have a spectator choose one of the three remaining heaps after you have lifted the ends of the top cards to show them all different. You simply lift two as one, the lower long card making this an easy matter. Whichever packet the spectator chooses order the top card to change to whatever your force card may be, suppose it is the 8S. Lift the top card and show it. Drop the extra packet on top and at once show the faces of all the cards. The 8S has vanished. Turn the top card of one of the other two heaps, it is the 8S. Drop the extras on top of this pile and show the faces. Again the 8S has gone. Lift the top card of the third pile, it is the 8S. Drop all the rest of the cards on top and again the card has disappeared only to show up finally on the top of the pack. Cutting The Pack With A Knife: When a knife blade is thrust into the ruffled pack it will, as has already been seen, rest on the back of the force card. 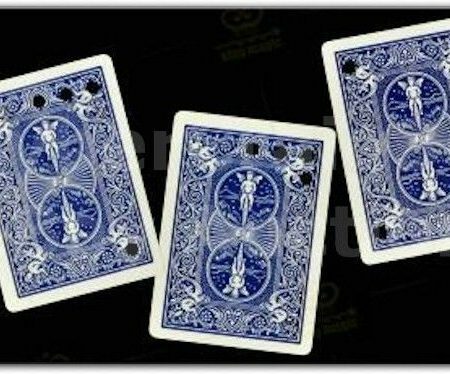 If, however, you want to have the card appear as the bottom card of the upper portion, thrust the point of the knife in a downward direction which will bring it below the short card. If you wish to bring the knife above the short card without ruffling the pack, thrust the knife point into the pack in an upward direction. In both cases show the card preceding the force card and the one following it. The Wrapped Pack: The card is selected, returned, and the pack wrapped in paper. 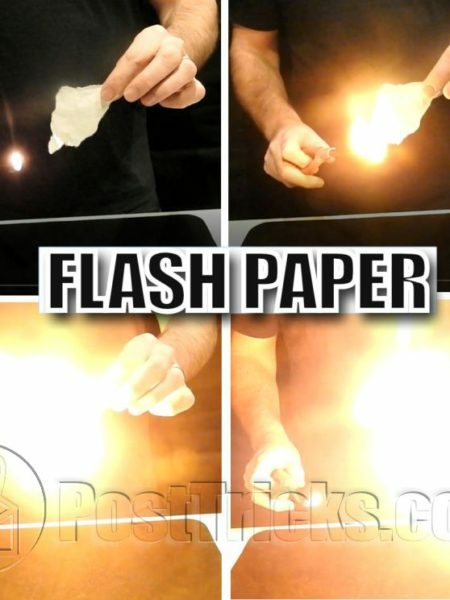 A knife is thrust through the paper into the pack and the card will rest on the knife either above or below it. Any Heap: After the return of a card cut the pack into six or seven heaps. Have one heap freely selected. Place a coin on top of that heap. Gather up the others, then show the chosen card under the coin. Reversed Card: Surely this is the simplest of all reversed card effects. Reverse one of the force cards near the top beforehand. Have the card returned, ruffle the pack and the card has vanished. 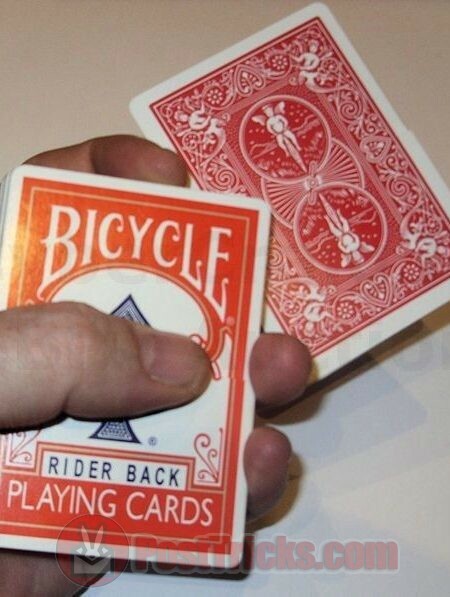 Turn the pack over and let the card fall from the right thumb as already explained, and show all the backs. Then hold the pack upright, fan it with the backs to the onlookers, and the card shows up reversed. The Unseen Card: A Spectator takes a card (force card) and without looking at it, puts it in his pocket. Another person is invited to take a card, replace it and then names it. His card is ordered to leave the pack, fly to the first spectator’s pocket and his card to return to the pack. Show the faces, the card has vanished and the first spectator finds that very card in his pocket. Think Of A Card: A spectator takes a card (force card). It is returned and the pack shuffled and cut. Drop the faces of the cards before a second spectator asking him to merely think of one card that he sees. Square the pack and riffle to the card he names, draw it slightly out of the pack and ask the first person if he wants his card above or below the mentally selected card. Cut the pack and show his card accordingly. In Addition to the Svengali pack you must have twenty-five cards which added to the indifferent cards of the pack will make up, with one of the force cards, a complete and unprepared pack. Put these twenty-five cards in your left outside coat pocket. Begin by writing a prediction, i.e. the name of the force card on a slip of paper, fold it and have it placed in a spectator’s pocket. Shuffle the pack and have a spectator cut and look at the top card. He thus gets a force card. Replace the cut, again shuffle the pack, then deal the cards in two packets, a card to each alternately. Force the unprepared pile on the spectator and have him look through it to see if his card is there. It is not, so you have him pick any five cards from the other pile, without looking at them and put them face down on the table. Invite him to put his finger on the back of one of the five. Gather up the other four, add them to the rest of the force cards and hold the packet in your left hand. 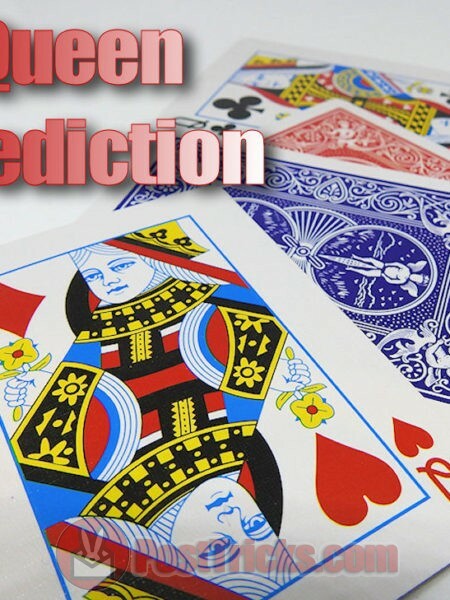 Now have your prediction read, the spectator turns his card, it is the card originally cut and the one named in your prediction. Under cover of this surprise drop the force cards into your left coat pocket and bring out the unprepared cards there. You will now have a full pack of regular cards with the exception of the one force card which you can then use as a short. Any small variation in the working, such as having the prediction already written and scaled in an envelope and having the card chosen by first shuffling and then spreading the force cards on the table, may be left to the reader’s own fancy.